Thanks, Jason, I Needed That! I have been looking for some good news, and the Virginia native has now captured both the Cy Young and MVP awards. He doesn’t know it, and probably doesn’t care, but he has brought two of my worlds together: as a native of Michigan, I cherish the Detroit Tigers, and as one who has made Virginia my home, I am thrilled when a local guy makes good. And do we need good news or what? Thanksgiving is coming, and I am thanking God for a lot of good things, but at the same time Congress has really given all of us a kick right square in the . . . . gut. The twelve wise people picked to begin turning things around just decided to pretend the fiscal iceberg isn’t there and keep on in the same old direction. 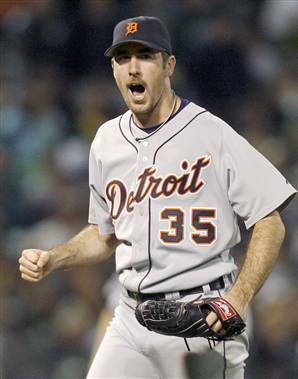 So, thank you, Jason and of course your teammates in Detroit and all those folks in Goochland who helped you grow up to be the fine man you are. It’s a “Come to Jesus” moment (with apologies to Congressman Cantor and all those of other faiths). Senator Mark Warner and 144 other members of Congress, Republicans and Democrats, have done what the Super Committee and all the other 535 members should be doing right now: finding a workable major step forward in reining in federal debt while not preventing government from doing things that need to be done in a time of economic insecurity. I call them The Brave 145–not afraid to cross party lines and even give up a sacred cow or two to serve the greater national interest. Now is the time for official leaders–Senator Warner and his colleagues are not designated as leaders, although they are leading–to step up and do their part. Here’s what leaders sometimes have to do: they have to catch up and get out in front of those they are supposed to be leading. How about it, Speaker Boehner, Senators Reid and McConnell, Congresswoman Pelosi and Congressman Cantor? Warner and his colleagues have laid down the marker. Will others, who are supposed to lead, finally really lead? Or will it be more posturing and posing and paying back political debts? If my mama were still alive, the whole lot of whiners, posturers, cynical backroom deal makers and bought-off politicos would long ago have been taken to the woodshed where cries for mercy would be heard. 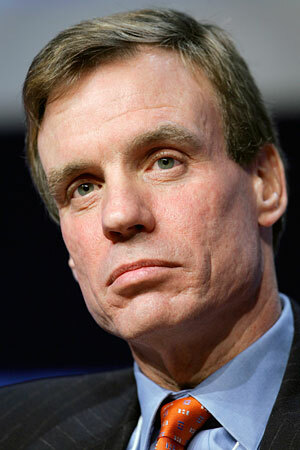 Thank you, Mark Warner and others for keeping alive the hope that the U.S. Congress is up to the job. The turmoil in the world seems especially acute to me today. 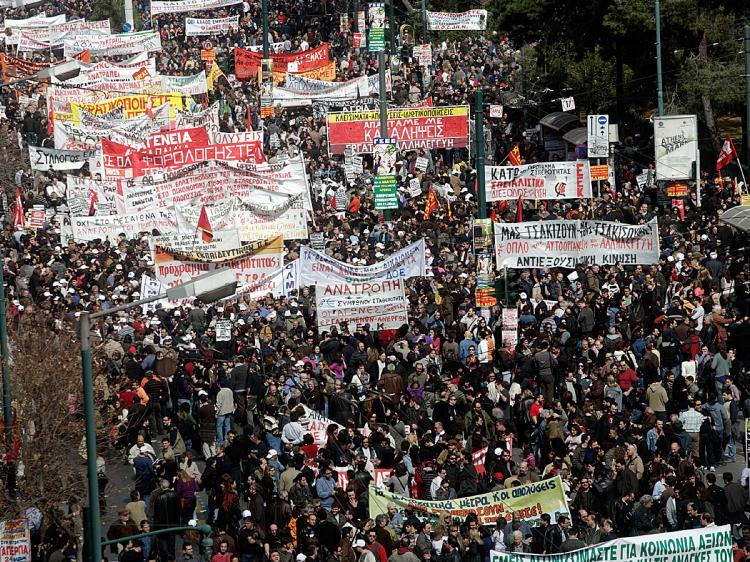 Europe in a financial and political uproar, Syria dancing along the edge of major conflagration, protesters evicted from Zucotti Park and then returning, people losing jobs and homes, and so much more. There is good reason to see all this in a negative light, as a time of heightened danger. 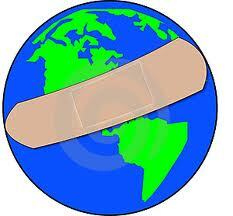 The world could really plunge into a deep economic and political decline. My great fear in such a time would be the resurgence of fascist totalitarianism. But I am inclined to believe that this is more a time of great opportunity for crucial change. Things are out of whack in the world, and there is need for some significant adjustment. For one thing, greed needs to be stopped. I am not talking just about financial greed, although that is a core issue. There also is greed for power, and I don’t just refer to dictators such as Assad in Syria. There is a greed for power in Washington, too, and in London and Paris and Bonn, as well. Too many leaders seem intent more than anything on staying in, or getting, power. The focus is too much on defeating the other side, and not enough on helping all sides. The biggest financial problem we have in the United States is a spiritual one. We have come to believe in money. We have moved from a country that produces things that the world wants to one where the financial players simply move money around–too much of our economy is now focused on making money from money. By definition, there has to be a point when we will run out of money with which to run the shell game. We can change all this, even those of us who have little power. We do have the power of speech and the vote. And the power of prayer and protest. Today, my prayer is to ask God to help me see what I need to be doing. I hope you are doing the same. Foot in Mouth. Heart in Game? 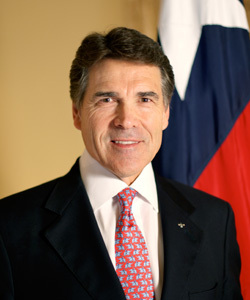 I sympathize with Governor Perry. I have made some bloopers in my day. I have said some things that probably it would have been better to have left unsaid, or at least said differently. I have forgotten important information at the very moment I needed it most. And frankly, I am glad there is not a video cam recording everything I say. So, when the Governor could not remember the name of the third government department he wants to shut down, I sympathize. After all, if you’re already on track to eliminate two other major departments–firing tens of thousands of government employees and cutting hundreds of billions in spending–what’s one more agency? But, and this is a big but, the moment leaves me with an uneasy feeling. Does Governor Perry really believe the stuff he says? Oh, its okay if he doesn’t know all the details–who could? Surely no president, including the present one, knows everything about all the stuff he says. But I do expect presidents to have a command of their basic proposals–and the center of Governor Perry’s agenda is to radically reduce the size of the federal government. I did not agree with former President Bush (#2) on many things, and I know he said some stupid things at times, but I never doubted that he understood his agenda and the main points of it. The man believed it, and I had no trouble believing him–even when I disagreed, which was, I admit, most (but not all) of the time. I do not doubt Governor Perry’s intelligence, or his ability to lead (being Governor of Texas requires skill and dedication), but I do wonder if he really wants to BE President of the United States. If he does, he will get himself integrated–from the inside out. 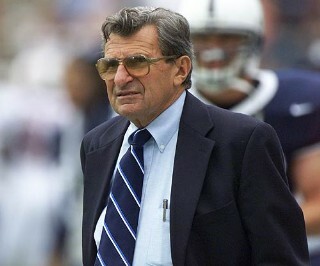 I have never been a big Joe Paterno fan. 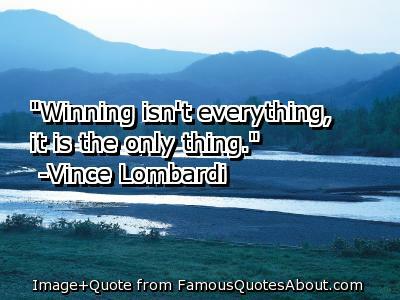 He always seemed too driven to win–but then so did Vince Lombardi, Woody Hayes, and a host of other coaches, both professional and college. Still, I am sad to see him fall. He did some good along the way. So far, the story seems to be that he placed loyalty to an institution above moral values. It is an old story, not limited to athletics. The Pope and other religious leaders continue to deal with fallout from similar failings. Politicians often seem to be more loyal to themselves, or their lusts, than to their institutions–but it all comes down to demeaning others for something you want. Why does this stuff continue to happen? What is more important than the dignity of every human being? None of us is immune from temptation. That is part of the human story. But another part is that each of us has the capacity to choose whether to give in to it or not. We are responsible. I have failed the test more than once, although not in these ways. I am sure I will fall short again. Thus, I do not gloat over another’s failure. And I expect to receive whatever penalty I deserve. In the same way, Paterno, and others, need to own up and take the bitter medicine they have earned–no matter how many games “they” won. 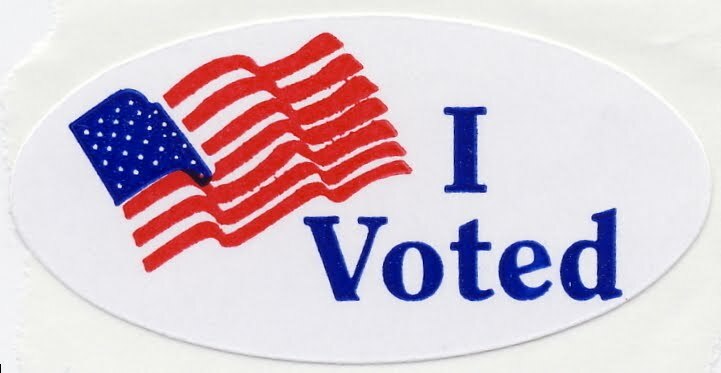 I went to the polls yesterday and voted. There were more people coming and going than I thought there would be, but still the turnout was low. I took matters into my own hands yesterday. I wrote in my name for Delegate in District 68. Manoli Loupassi (the incumbent) is probably a nice guy, so it is nothing personal. I don’t even know much about him. I ended up in his district after the redistricting, but don’t remember hearing from him. Maybe he doesn’t feel the need to be in touch, given the lack of opposition. Did you know that 63 of the 100 members of the House of Delegates ran unopposed? I know Virginians are generally opposed to socialism, but this is beginning to feel like some sort of communist country–or at least a banana republic–where the party (or the two parties in our case) get to decide everything without the citizens having much say. Fortunately, I did not win. I don’t have time for another job! But I did want to make a statement: Manoli, you may be a nice guy, and maybe if I knew more about you, I’d vote for you, but right now I just want you to know not to take me for granted. I have been following events in Greece the past few months–watching to see what would happen in the land where democracy first was tried. It is a painful sight. It is a bit like watching two people on the dance floor who don’t know how to dance with each other, and don’t really want to learn, try to make a go of it. Leaders see the need to fix the economy. Their fixes cause pain for ordinary people. These people rebel. Leaders try to placate them while keeping the fix mostly in place. The dance–if you can call it that–continues, while nobody trusts anybody else. You can’t really dance if you don’t trust your partner. Now, the prime minister says the people who are don’t trust him and others have the right to vote on the latest dance steps. Other leaders are furious, claiming that this will undo the entire dance. Does any of this sound familiar? Sort of. Here at home, we have people occupying town squares (and getting arrested for trespass) ranting against economic forces that the government does not contain, and other people holding meetings at which they rant against government trying to do anything to contain economic forces–and a President and Congress in deadlock. I certainly don’t have the answer. And yet I know that yelling at each other–pointing fingers at our dance partner who has stepped on our toes one too many times–is not the best answer. Oh, it feels good for awhile, but it doesn’t fix anything. And meanwhile, the economic forces go right on . . . . making more money. 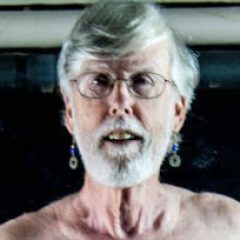 It almost feels as if government is irrelevant–like a side show of watching people dance badly, while behind the potted palm in the corner a couple is making out and having a high old time. I keep praying we can move the potted palm and begin to fix things, out in the open, but it’s not looking good right now. So I keep praying.